Stock status is current as of 4/23/2019 8:15 AMET. JBoss Enterprise Web Server provides an open source solution for both large scale websites and lightweight Java web applications. It is a complete solution for any web application environment through the combination of Apache web server, the world's most popular web server and Apache Tomcat, the market-leading servlet container with all of the popular modules and connectors for security and load balancing. 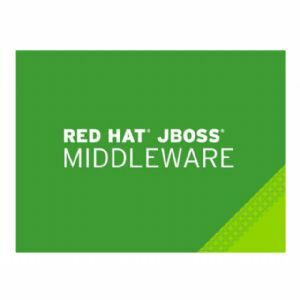 JBoss Enterprise Web Server leverages Red Hat's expertise in leading and contributing to popular open source projects, then backs them with a multi-year product support lifecycle. By selecting production-ready versions of these components and combining them with enterprise features for operational management and security tracking, JBoss Enterprise Web Server gives IT enterprises a stable and secure web application infrastructure with long-term reliability. RED HAT INC logos are registered trademarks of RED HAT INC. All others trademarks and copyrights mentioned herein are the property of their respective owners.